MA Management & Finance are a wealth management company based in Geneva, Switzerland. 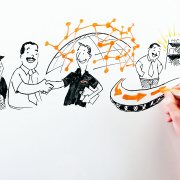 This explainer video was done to illustrate the companies philosophy & how they ‘do things differently’. This production took one month to complete & is available in four different languages. It is used on the companies website & at events throughout Europe. 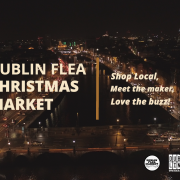 The monthly Dublin Flea Market has been running now for 10 years & has grown from strength to strength. 2018 was the sixth year that the Christmas Flea market has been running. It’s one of the best markets in the country & has been an incubator to many young companies who have now grown & expanded due to the experience, success & encouragement experienced trading at the market. It is now well established as a ‘must visit’ event in the Dublin Christmas calendar. Here is a promo we produced with them, giving you a flavor of what’s on offer. We were approached to help this worthy project that affects all of us. Does your company need help in explaining a complex idea? Get in touch & see what we can do for you. 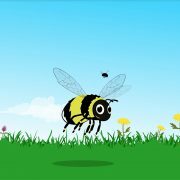 One third of our bee species are threatened with extinction from Ireland. We know it’s because we have drastically reduced the areas where they can nest and the amount of food (flowers) our landscape provides for them. We can stand back and watch the problem happen, or we can try to do something. The All-Ireland Pollinator Plan is about all of us, from farmers to local authorities, to schools, gardeners and businesses, coming together to try to create an Ireland where pollinators can survive and thrive. The plan provides an important framework to bring together pollinator initiatives from the North and South, and is the start of a process by which we can collectively take positive steps to protect our pollinators and the service they provide into the future. It is a shared plan of action. By working together we can reverse pollinator losses and help restore populations to healthy levels. Over the next five years this Plan aims to build a foundation to bring about a landscape where pollinators can flourish. This animation was funded by Kildare County Council and Wicklow County Council’s Creative Ireland programme. Irish Primary schools have been underfunded for years. This year Irish primary management bodies have come together to lobby for the restoration and increase in the capitation grant. The capitation grant received at present only covers 52% of day to day running costs. Please watch / share and lobby your local TD. It was a pleasure working with CPSMA in producing this animation. Get in touch today to see how we can help your organisation. Supply Technologies are a global supply chain management company. 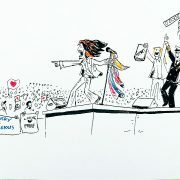 We produced this whiteboard animation for them to use at conferences & events worldwide. 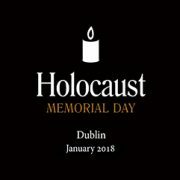 The Holocaust Memorial Day commemoration is designed to cherish the memory of all of the victims of the Nazi Holocaust. A candle-lighting ceremony is an integral part of the commemoration at which six candles are always lit for the six million Jews who perished, as well as all of the other victims. The commemoration serves as a constant reminder of the dangers of racism & intolerance & provides lessons from the past that are relevant today. This solemn occasion takes place on the last Sunday of January each year in The Round Room of the Mansion House, Dublin. Facing Addiction & The National Council on Alcoholism & Drug Dependence (NCADD) are based in Danbury, Connecticut. They are national non profit organisations dedicated to finding solutions to the addiction crisis by unifying the voice of the over 45 million Americans & their families directly impacted by addiction. Their aim is to bring together the best resources in the field in order to reduce the human & social costs of addiction, every year until this public health crisis is eliminated. Addiction effects all walks of life & their work is invaluable. This explainer video was used at events through out the USA & shared online. The voice over was done by Kristen Johnston who played Sally Solomon in 3rd Rock from the Sun. It was a pleasure working with them on this project & we hope it helps make a difference. 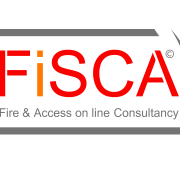 We produced this whiteboard animation for the fire & access consultancy company, Fisca in Co. Sligo. A 2 minute whiteboard animation like this takes approximately 3 weeks to produce from when we receive a script. Do you want to explain what your business does? Get in touch & we’d be happy to help. 2018 saw the eighth edition of Kilkenomics festival take place in Ireland’s sunny south east. Over the years the festival has brought some of the worlds finest economists, media commentators & comedians to Kilkenny City to discuss the major issues facing the world today. As they say: it’s serious but it’s fun too! 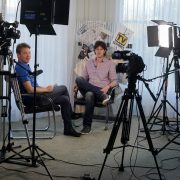 We have filmed hundreds of shows over the years & have learned a lot about economics along the way! Here is a short piece from Cleere’s theater & the 2017 promo. 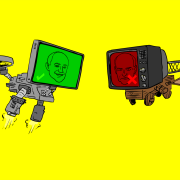 Here is the second episode of a new animation called ‘McSquared’ we worked on with two great economists. David Mcwilliams is a well known Irish economist, broadcaster & author. Paul McCulley is an American economist and former managing director at PIMCO. He coined the terms “Minsky moment” and “shadow banking system”, which became famous during the Financial crisis of 2007–2009. The animation is a mixture of 2d & whiteboard animation. In this episode they discuss ‘Why The Federal Reserve simply doesn’t get it’.